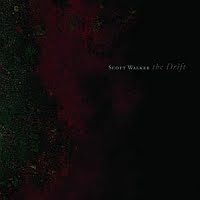 A short while ago I announced my choice for The Album of the Decade, Scott Walker's "The Drift". There is little more I can add to that appreciation, except to encourage you to check it out by promoting the very best selection as a fifty cent download. Now obviously one song from ten does not a full album make. But in another sense there is more than enough in "Clara" to make up a long-player. By the time it is done you may think you have witnessed a decade of history and be ready for something other than music from speakers for a while. If you end up downloading the rest of the record then so be it. But at least get this one track so you know what I'm on about. Tomorrow I'll give you three albums to make up the balance.